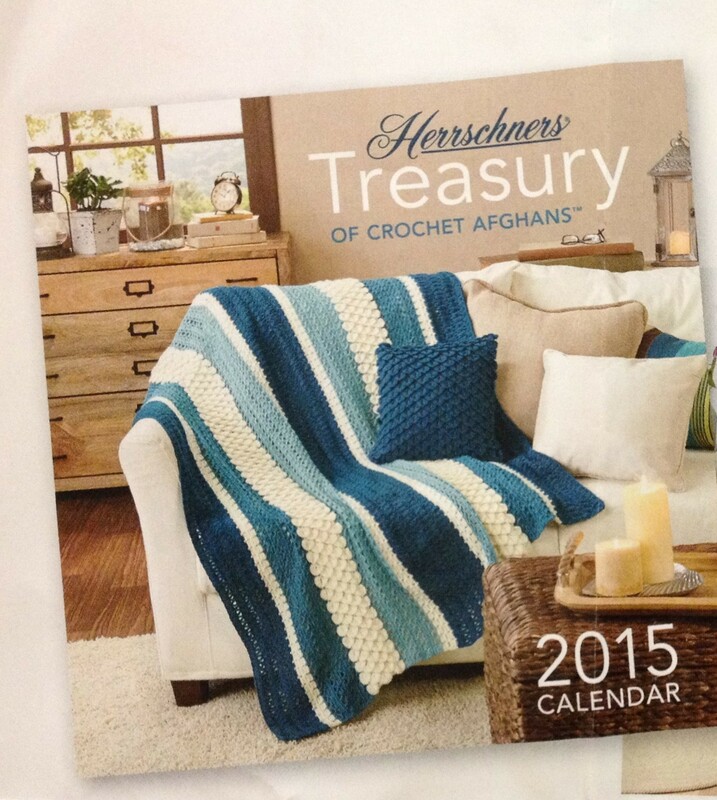 Today I received my copy of the Herrschners Treasury of Crochet Afghans 2015 Calendar (with my design on the cover)! I mentioned in a previous blog, but you won’t find the calendar for sale on Herrschners’ website. If you would like to purchase it, you will need to call their customer service phone number. Call toll-free at 1-800-713-1239 Monday through Friday 7:30 AM to 5:00 PM CST. 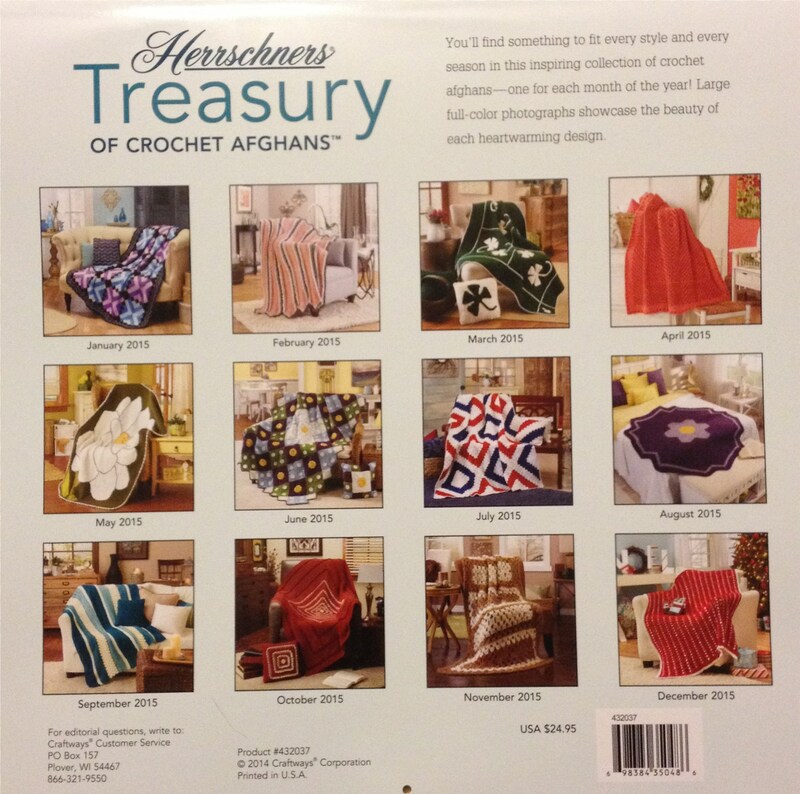 Herrschners Treasury of Crochet Afghans 2015 Calendar…..
…with my Crocodile Stitch Afghan and Pillow on the cover! 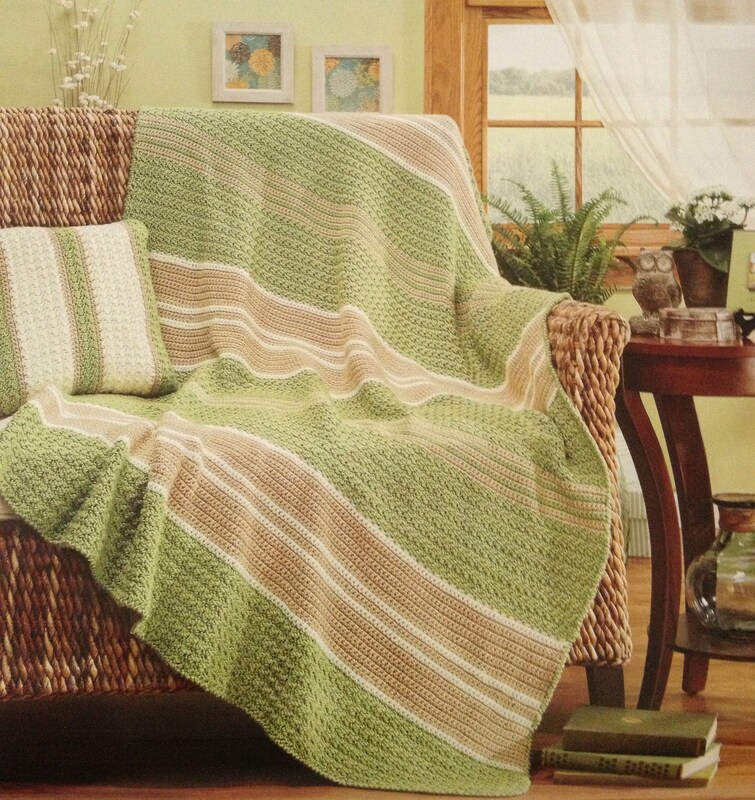 I was asked to do an afghan a while back for Herrschners and incorporate the Crocodile stitch into it. I knew it was for their yearly Treasury of Afghans Calendar– the month of September to be exact (which I thought was ironic AND great because my daughter was born in September). Wasn’t I surprised when I received a mailing the other day about the calendar and saw that my design had made the cover of the calendar! 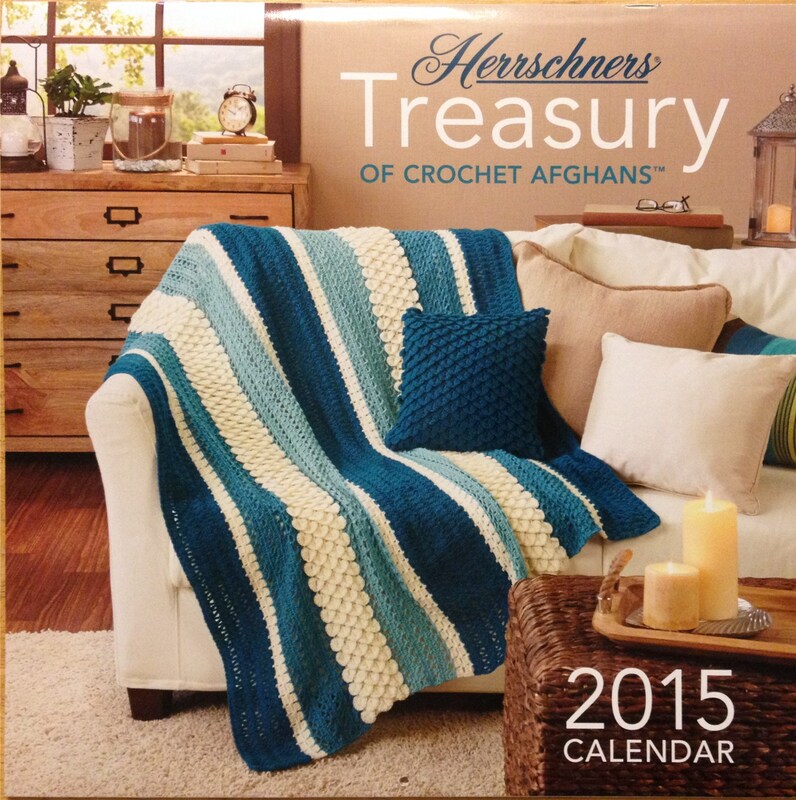 For those not familiar with Herrschners’ Treasury of Afghans Calendar, each month of the full color 11″ x11″ calendar features a different afghan. 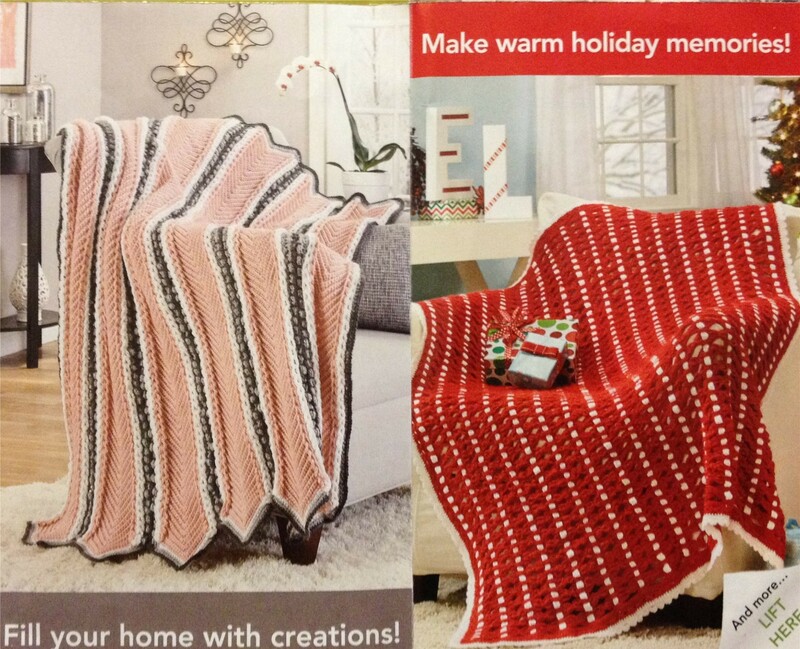 You will receive an accompanying booklet that contains the patterns for each of the 12 afghans. Some of the designs will also include matching pillows. You also receive a pocket-size calendar. 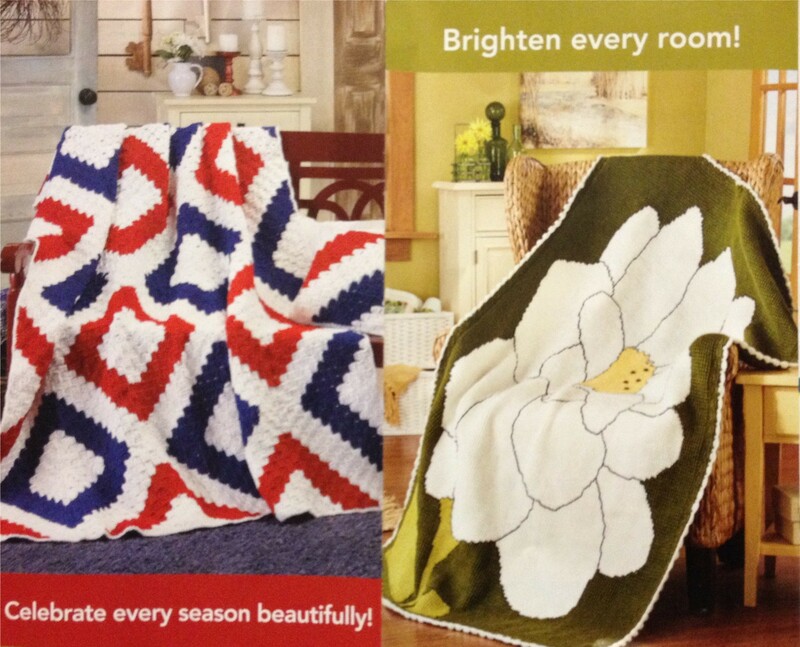 Below are some of the other amazing designs that you will find in the 2015 calendar. You won’t find the calendar for sale on Herrschners’ website, so if you would like to purchase it, you will need to call their customer service phone number. Either the customer service representative answering the phone can take your order, or you might get transferred to another department who takes care of publishing orders. Call toll-free at 1-800-713-1239 Monday through Friday 7:30 AM to 5:00 PM CST. The publisher’s price is $24.95. The mailing I received offered this for $11.95 plus shipping and handling. I don’t know if this price is available to everyone or only those who received the offer by mail. I do know that quantities are limited. 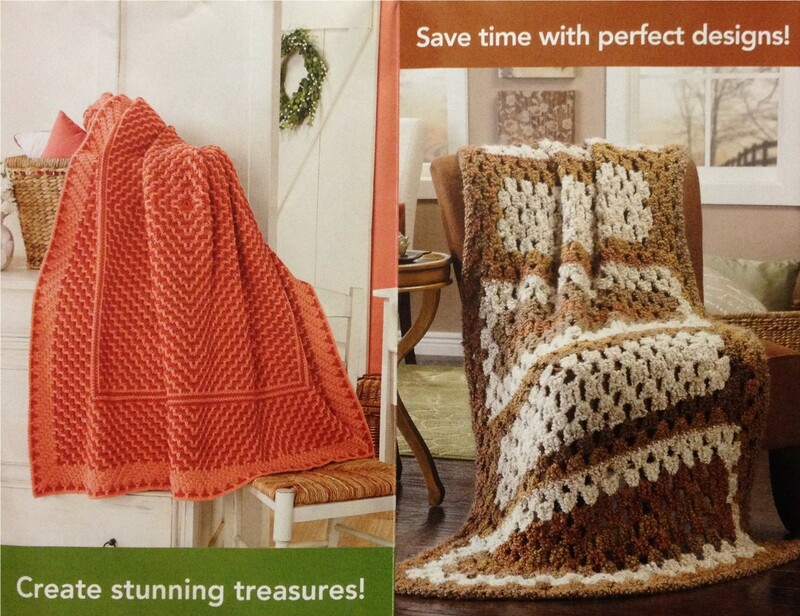 The only way to get these patterns is to buy the calendar. I had a design in the 2013 calendar, which sold out, and now that pattern is not available anywhere.